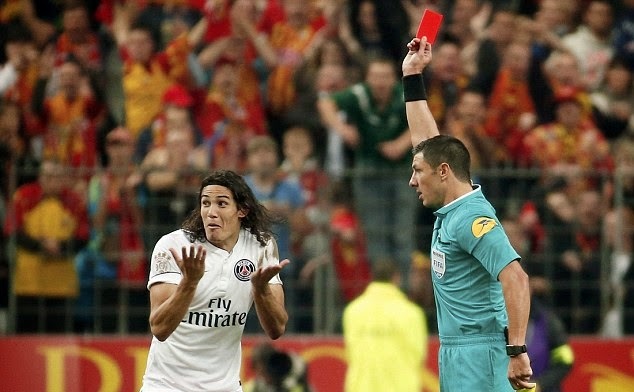 Paris Saint-Germain's Uruguayan star Edinson Cavani was sent off yesterday in a match against Lens. 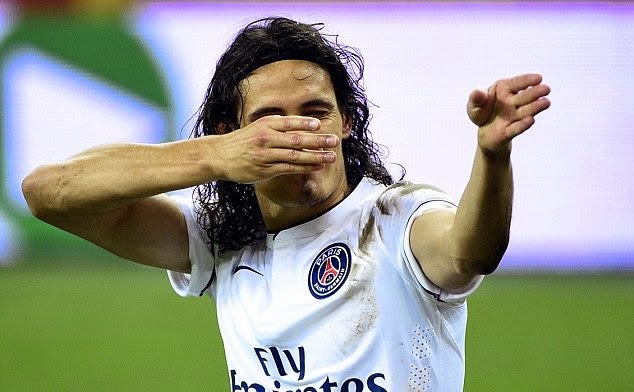 Cavani was shown the red card from the referee after he celebrated his goal with his rifle gun gesture he had shown on many previous occasions after scoring. Perhaps the red card did not come without merit, as the gesture does suggest shooting. But the referee has surely seen Cavani do this exact thing in previous matches. Sometimes the referees do get it wrong, and in this case the league should have either warned Edinson Cavani about this specific celebration, or if they in fact did not have issue with it before should overrule the referee's decision on the day. When Nigerian striker Emmanuel Emenike was still with Spartak Moscow, he too was the victim of a celebration red card that was perhaps not deserved. Emenike scored against Zenit St. Petersburg and celebrated by pointing to his arm. The referee gave the Nigerian a straight red. In a post match interview Emenike said that he was pointing to his veins, thanking his parents. In another bizzare red card incident, Brazilian superstar Neymar Jr. scored a goal and celebrated by taking a mask of himself from a fan and wearing it. The referee pulled out a red card with no hesitation. Perhaps the laws of the game have to be adjusted as footballers become more and more creative after putting the ball in the back of the net. Referees and players would both benefit if the two sides were on the same page of what one is allowed and not allowed to do as a form of celebration.